Normally, an arrow wounds and kills. Arrows have been used throughout history for war and for hunting. But a spiritual arrow of Mercy is much different. Recall the words of Simeon the Prophet spoken to our Blessed Mother, “And you yourself a sword will pierce” (Luke 2:35). 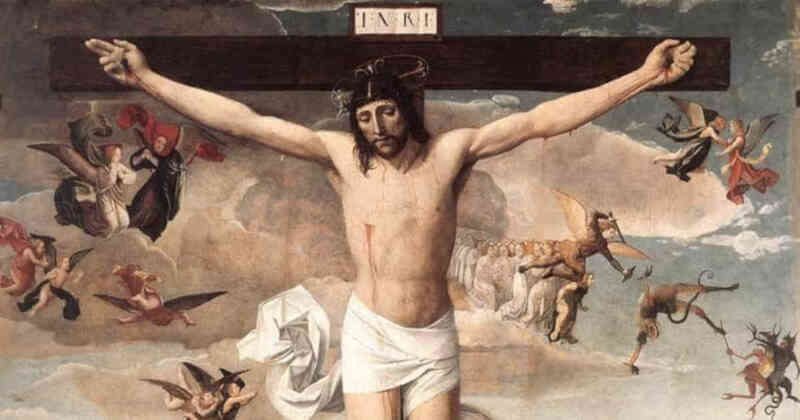 And at the Crucifixion, recall that, “One soldier thrust his lance into [Jesus’] side, and immediately blood and water flowed out” (John 19:34). A sword and a lance pierced the Hearts of our Blessed Mother and Jesus. So also must our hearts be pierced. But the sword, lance or arrow that we must receive will not wound in a negative way if accepted in love. Rather, it will call forth mercy and compassion from our hearts. Sorrow and pain are transformed within this “wound of love” and that wound pours forth God’s Mercy from our lives (See Diary #1082). Reflect, today, upon two things. First ponder the spiritual wounds in the Hearts of Jesus and Mary. Enter into the mystery of their pierced Hearts. Try to understand that grace comes forth as a result of these piercings in that they produce compassion and Mercy for those in need. Second, ponder your own heart. Reflect upon any wound you carry and allow yourself to understand that this wound can be transformed. It has potential to share in the Mercy flowing from the Hearts of Jesus and our Blessed Mother. Allow yourself to share in their holy sorrow over sin and foster compassion for the sinner. In this act, you will become wounded by a spiritual arrow of love. Lord, help me to comprehend the great mystery of the suffering endured by Your most Sacred Heart. Allow me to see that You freely accepted that wound so as to pour forth Mercy. And help me to also accept the arrows of others so that Your Mercy can pour forth in return. Jesus, I trust in You.